The 10th edition of Tramlines Festival is in a leafy new location in Hillsborough park. As well as the expanded new venue, the festival offers multiple days of music, comedy and fun for younger family members. As well as big names like Noel Gallagher and Stereophonics, Reverend and the Makers and many more, Pale Waves, The Sherlocks, The Magic Gang and The Orielles are just some of the breakthrough acts to catch. 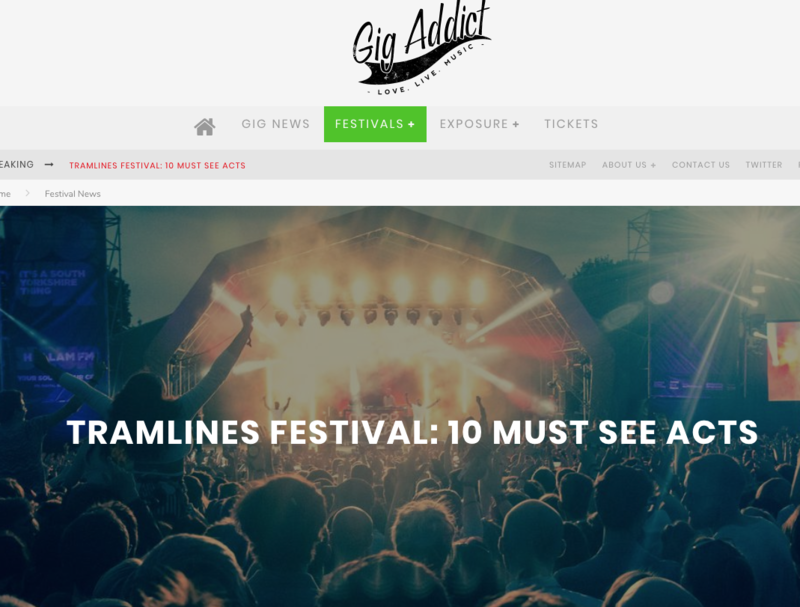 Sliding Doors have secured some courage on Gig Addict that finds the site point out ten essential acts to catch at Tramlines Festival 2018.